Some of our clients have asked how our intro video was created, so here’s a small ‘making of’ video of how it was done. The production agency (PixelPush) that worked with us did an amazing job and won an award for this video! This was back in the days when FlowPaper was still called FlexPaper. Enjoy! This tutorial will review the steps involved in uploading and embedding your PDF documents as a flipbook/slide presentation or as a reflowable publication. This includes catalogs, magazines, and brochures. FlowPaper optimizes your publication by splitting it into smaller parts and reducing its complexity so that your website visitors are able to view your PDF documents as quickly and seamlessly as possible. 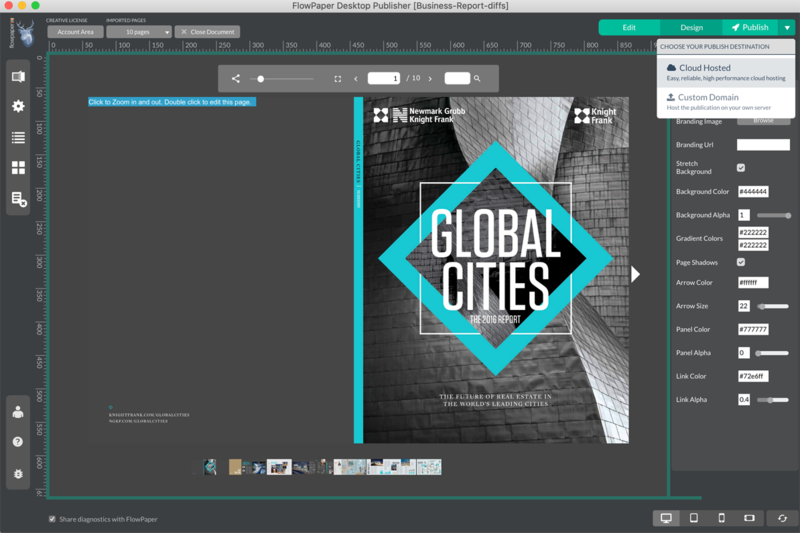 Make sure you have the FlowPaper Desktop Publisher installed on your Mac or PC before proceeding with this tutorial. You need to upload the publication to your website or to FlowPaper cloud for the publication to be available online. This tutorial uses FlowPaper cloud as its way of uploading the publication. 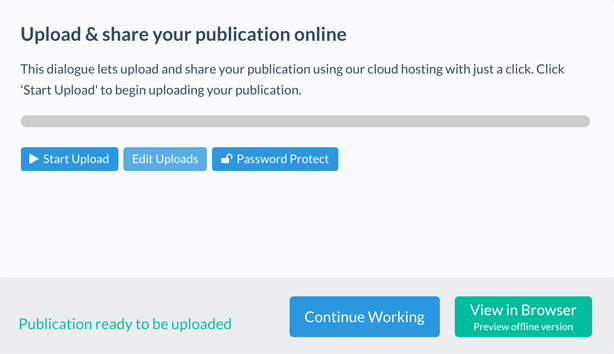 Click on the ‘Publish’ button in the top right corner of the desktop publisher and proceed to use the ‘Share on FlowPaper cloud’ option to make your publication available online. This should give you a public URL starting with https://online.flowpaper.com which can be used to view and share the PDF online. 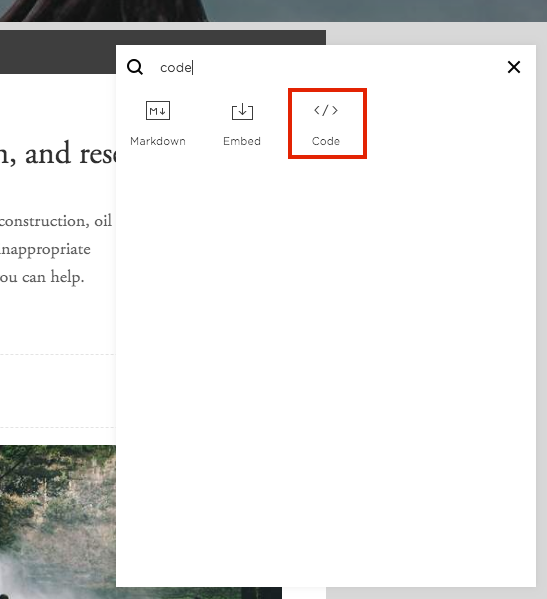 The last step of embedding the publication is to add the code snippet that adds the publication to the page. 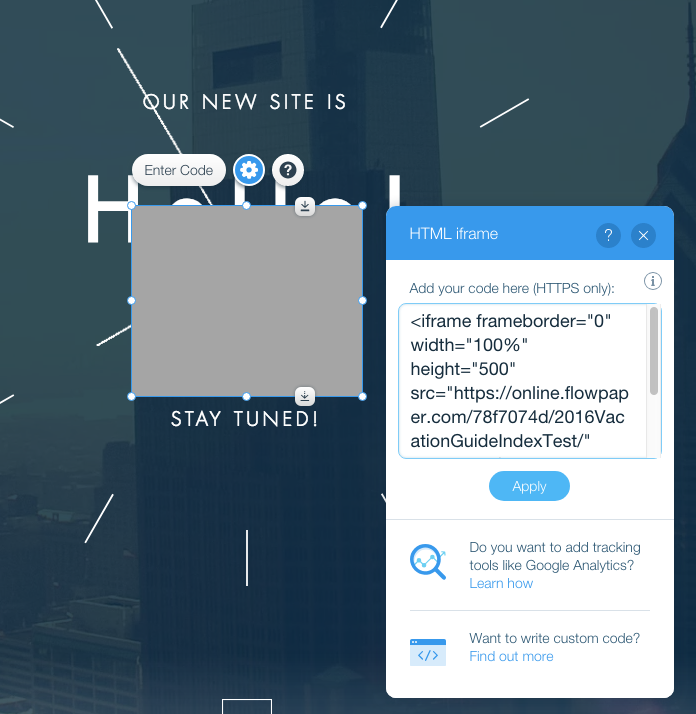 Copy the code snippet below and paste it into the HTML text box. Then update the URL in the snippet to the URL that you received after uploading your publication to FlowPaper cloud (marked in bold). The publication should now show up inside the iFrame box. 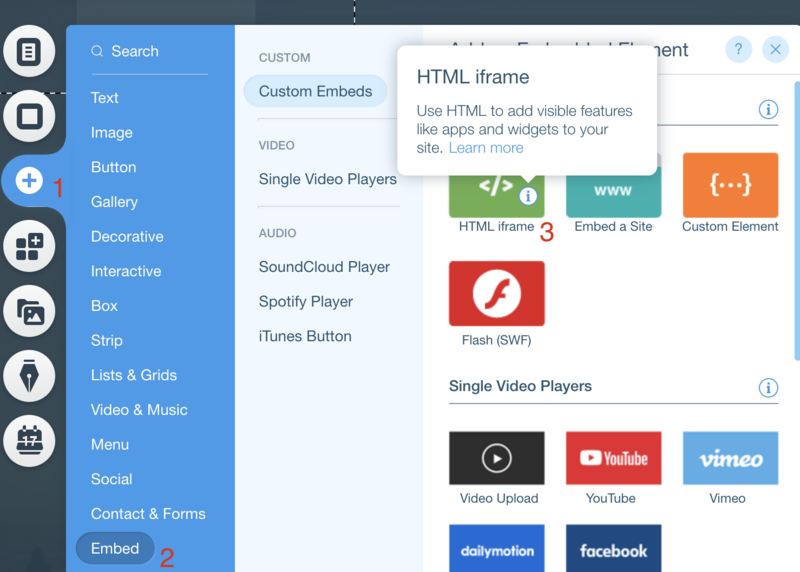 Resize the resulting component so that it fits your page. All done! This is mainly a follow-up build to the new and enhanced reflow mode which was introduced in 3.2.0. It is recommended that you update to this version if you are using any of our sample server-side scripts (ASP.net/PHP) as it improves fixes for improved security. Note that these improved security checks do not affect users of our desktop publisher, or publications on our cloud hosting. Contact us at [email protected] if you want help updating these scripts. A special thank you goes out to Ahmad Mahfouz (@eln1x) for helping us improving the security in the PHP and ASP.NET scripts. This brief tutorial will go through the steps of uploading and embedding a PDF document as a flipbook (such as a catalog, magazine or brochure) to your Squarespace website. FlowPaper provides a range of optimizations and settings to your PDF documents so that your visitors are able to view your publications as fast and seamless as possible on all devices and browsers. Make sure you have style and configured your publication so that it is ready for upload. Click on the ‘Publish’ button in the top right corner of the desktop publisher and proceed to use the ‘Share on FlowPaper cloud’ option to make your publication available online. This should give you a public URL starting with https://online.flowpaper.com which can be used to view and share the PDF online. 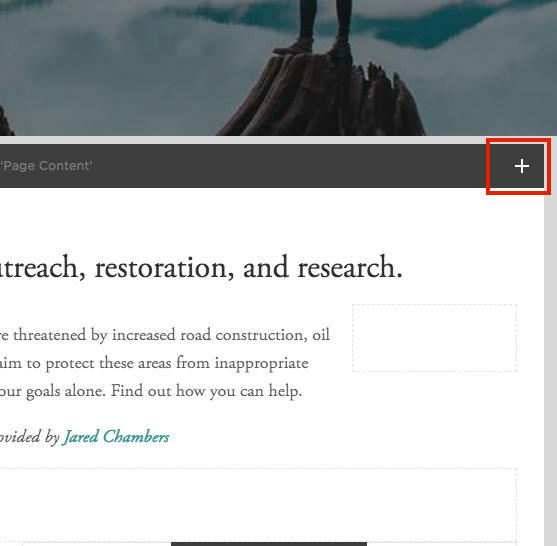 Switch over to your Squarespace website and click “add block” in the top right corner. The publication will show up at the position where you have added your block as seen below. Tada! All done! We have added an entirely new web page builder which lets you export content out of your PDF documents into responsive web pages, ePub publications and as packaged apps. The template is available via the dashboard (‘Web Page Builder’ for web page exports and ‘Digital Edition’ for cross-platform distributions) and exports your content in HTML5 format with fonts and graphics fully preserved. This new template speeds up the process of creating digital editions for magazines and other publications with rich layout. Double click or drag texts, images and user defined areas right out of your PDF documents into fully responsive editions. Export as ePUB3, native apps as well as web editions. Please feel free to contact us if you have any questions around how to use this template or how to publish your responsive editions as apps. We’d be more than happy to arrange a demo over Skype or similar to get you started. We’re rolling out version 3.1.8 this week and you’ll notice that things have been moved around a bit in the desktop publisher to give room for new settings and features that are coming in the next few months. We’re mainly allocating more space to the main design area by moving settings into expandable panels to the left. The right hand panels are intended to be context sensitive. Let us know if there is any setting you can’t locate and we’ll help you out! Our documentation will be updated accordingly. The FlowPaper cloud hosting now supports password protected publications. Expand the advanced settings in the publishing dialogue under cloud hosting to add a password to your publication.